Gaslands: Time Extended Available for Free Download! Gaslands is an award-winning game of post-apocalyptic vehicular combat, where players shoot, ram, skid, and loot their way across the wastelands. 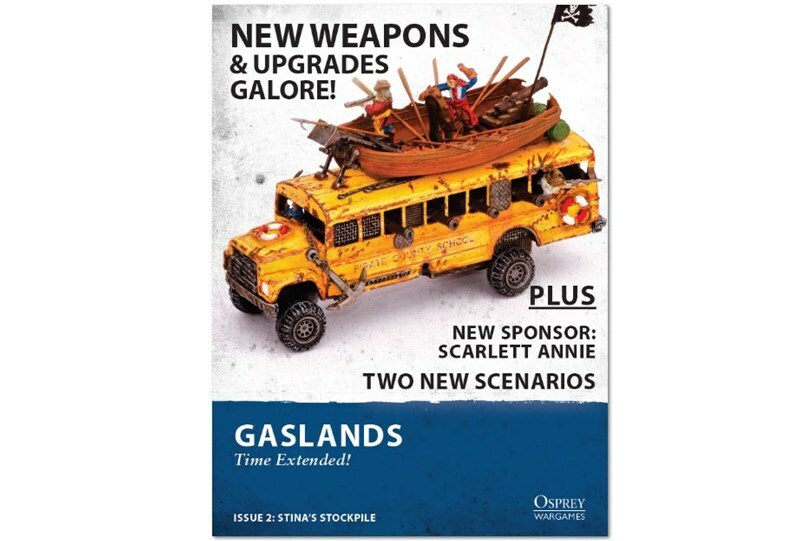 The second issue of Gaslands: Time Extended! is out and available for free! Stina’s Stockpile features rules for new weapons and upgrades, a new sponsor, Scarlett Annie, a new perk class, and two new scenarios!